Although not as famous as the Spitfire, there were more Hurricanes built. The Hurricane has the same engine as the Spitfire but is not as fast. The Hurricane can turn tighter, however. Like the Spitfire, it has weak guns, but lots of them. It should be easy to make hits on aircraft, but difficult to cause damage. Training: A duel between two flights of Hurricanes. Dogfight: Hurricanes engage Bf-109E fighters in a head-on attack. 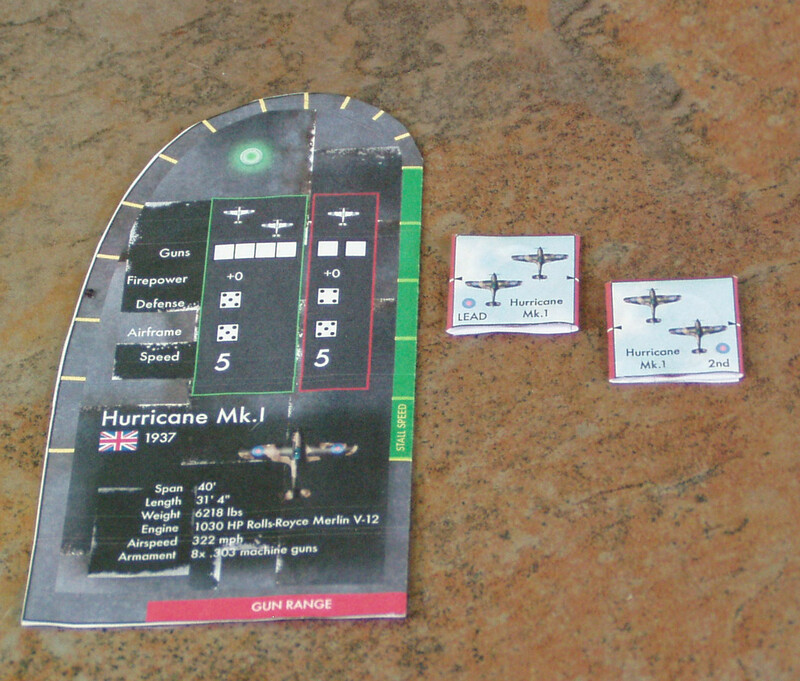 Bomber Intercept: Hurricanes attack Ju-87 Stuka dive bombers, while Bf-109Es defend. This set contains only the Hurricane I. Other aircraft referenced in the scenarios are sold separately. I just downloaded the Hurricane and the BF-109 PDFs, and will give this a try on the weekend. It looks very interesting; I really like the ruler/templates idea. This title was added to our catalog on June 20, 2015.